Pamela comes to Solutions Advisors Group with more than 20 years’ experience in program management and business development and with a drive to forge strong relationships within the company as well as with outside business partners. 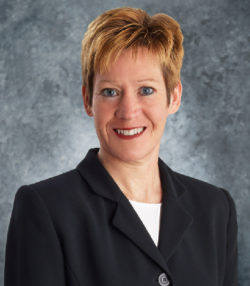 Her career includes a succession of increasingly responsible roles in business from Enterprise Services Specialist to Field Support Manager and finally Senior Manager, Enterprise Accounts Operations, in which Pamela was responsible for managing and maintaining a customer portfolio of over $96 million. In her role as Account Manager for Solutions Advisors Group clients, Pamela will utilize her superior organizational and customer relations skills to build a level of confidence in the services and solutions offered, as well as identifying opportunities to implement new and innovative products and services. Bachelor of Science, Social Work, Florida State University, Tallahassee. 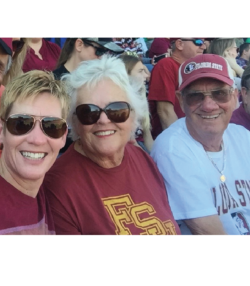 Pam is an avid Florida State fan who enjoys attending home games in Tallahassee with her family. After football season, Pam can be found poolside or visiting local wineries and breweries with family and friends. She has one daughter attending Virginia Tech and a son who will be attending either James Madison University or George Mason in the fall of 2018.